WHAT DIRECTION WILL THE MTA TAKE IN THE NEXT TWO YEARS? In May, delegates to the Annual Meeting will elect the next President of our parent union, the Mass Teachers Association. Who the next president is will have a major impact on the direction that the MTA takes in addressing the issues and challenges facing public education and public sector workers. You may have heard that the legislature has adopted a tuition retention statute which will allow UMass to retain in-state tuition, starting this coming September. 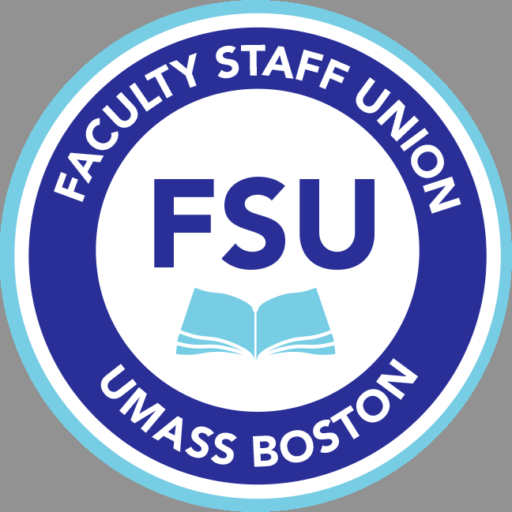 As a result, our new contract requires that management and the UMass unions renegotiate the terms of our tuition benefit, and that’s exactly what FSU is doing, in coalition with nearly twenty UMass unions across the system. I hope you had a restful break and are back in the swing of things. Here’s an update on what’s happening on campus. The nomination period for election to the FSU Executive Committee is ending soon (Friday, February 12th at 5:00PM). If you are interested in serving please fill out a nomination form and return it by hard copy or by email to the FSU (information below). Completion of a Nomination Form is required. The Workplace Health and Safety Committee has finally started meeting again. This committee is made up of union representatives, management, and department representatives from Environmental Health and Safety, Emergency Management, Health Services, Facilities, and Public Safety. See here for the latest on the Northeastern adjuncts planned walkout. The Workplace Health and Safety Committee, a labor-management committee comprised of all the unions on campus and university representatives, met to discuss asbestos on campus and other concerns in December. 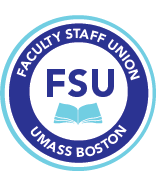 The unions are satisfied (so far) that the university is responding appropriately to the discovery of asbestos on campus and that the conditions for faculty, staff and students remain healthy and safe. We will of course monitor this closely.